Happy Tuesday! I have something fun to share today! 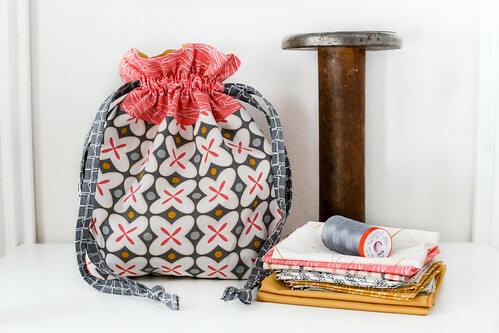 Jenelle Clark of Echinops & Aster has written a great tutorial for Imagine Gnats on how to add a zipper pouch to my Lined Drawstring Bag Pattern! 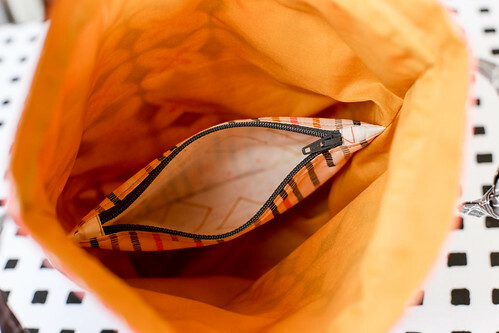 The zipper pouch is on the inside of the bag, and separates it into two halves. Makes it easier to keep little things organized in it. 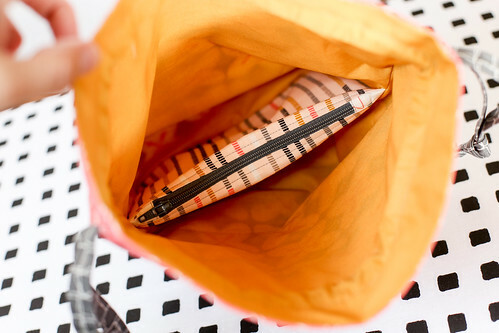 She shares measurements for adding it to the Everything Bag (tutorial size), and walks you through the math to adapt to any of the sizes in the pattern. Click here to be taken to the add-on tutorial. I couldn't resist stitching one up this weekend! I made the Everything size, but will definitely be trying it out on the larger sizes too! Her instructions are really clear, and it's such a fun addition. I used the new Maker fabric collection from Art Gallery In-House Studio for my bag. I love the colors in this collection, and the prints are really pretty. I added in the Honey Pure Element for the lining, and a zipper from Zipit, of course! I used the dark gray Aurifil 50wt thread from my thread collection to sew this bag. A special thanks to Jenelle (and Rachael! ), for featuring my pattern for this tutorial! I hope you'll try it out! Love it!! Thanks for sharing a great idea!! This is so fun! 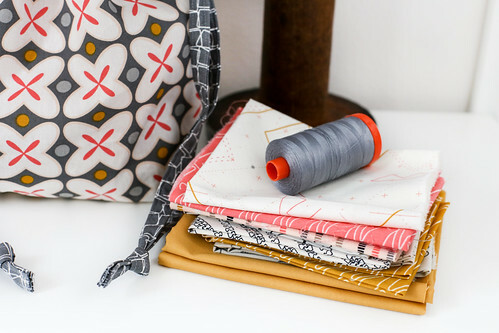 I really love this fabric collection, and particularly the prints you put together for the bag. Thanks again for letting me use your amazing pattern to make this tutorial! Oh wow, that is so cool! Your 'most useful bag, ever' just got more useful! Perfect!!!!! 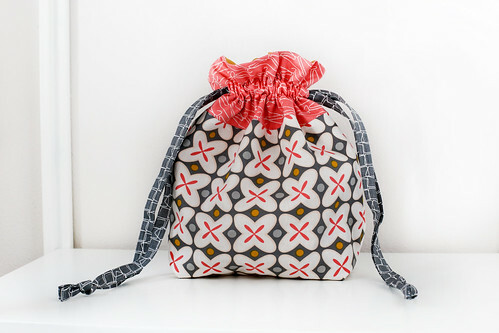 This will be the ideal project bag for sock knitting. I love the fabrics you used, too. Thank you to you and the other ladies for this tutorial.